Feed got you down? 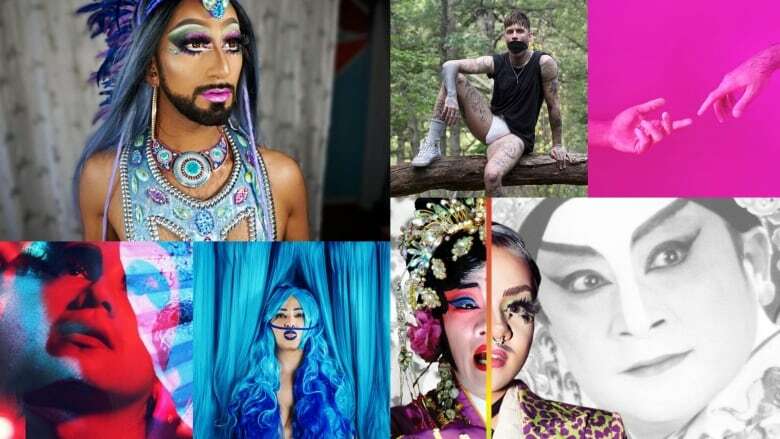 These 13 accounts from the world of Canadian LGBTQ art are more worthy of a scroll than any A-list celebrity. Has your Instagram feed got you down? Too many unnecessary selfies or trips into unattainable celebrity lives? Well, how about adding some queer artists to that mix to give you a daily dose of creative insight? Honestly, I could probably give you a solid 100 suggestions to do just that, but there's no need to overwhelm (especially on a summer Friday), so instead here are a lucky 13 potential follows from the world of Canadian LGBTQ art — all of whom I can assure are more worthy of a scroll than any A-list celebrity. 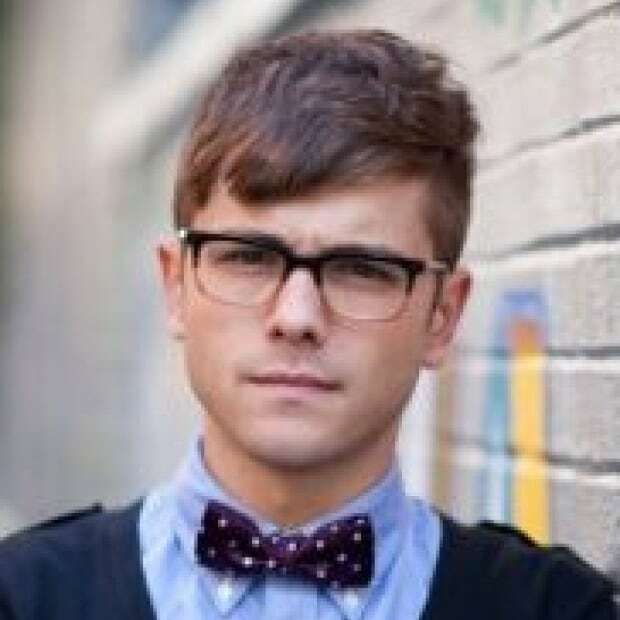 A Windsor, Ont.-based artist and curator, Crossman's work is self-described as creating queer interventions through "the manipulation of digital media and popular culture, the re-contextualization of often overlooked objects and artifacts, and by locating queer sensibilities in the everyday." That's certainly clear in their Instagram, which also shares work from fellow queer artists working in a similar vein. Montreal artist Edwin Isford is interested in "speculative transformation," which, in his work, is often comprised of "constellations of processed objects" such as rubber sculptures that grow in water, drawings made with fitness supplements, or "alginate casts of bodies and the environment." Because we all need more alginate casts in our Instagram feeds, am I right? What doesn't Kama La Mackerel do? Based in Montreal, they work as an artist, educator, poet, writer, performer and arts facilitator and also manage to run a thoroughly enjoyable Instagram that offers insight into every single aspect of their multifaceted work. Saskatchewan-based artist Zachari Logan is no stranger to CBC Arts. We profiled him back in 2016, and earlier this year he wrote and photographed a love letter to Saskatoon in our new "I He(art) my City" series. So it's no surprise to us that he also has a fantastic Instagram account that shows off his (occasionally NSFW) work. Edmonton drag performer Lourdes The Merry Virgin (a.k.a. Jonathan Busch) was a definite highlight from the first season of CBC Arts's series Canada's a Drag — and their Instagram is no slouch either. It boasts equal parts hilarious and heartfelt in posts, showing off not only Busch's drag but his serious drawing skills. Desi drag queen (and registered veterinary technician!) Humza A. Mian takes inspiration from Bollywood and prevalent pop culture in their art, and their Instagram gives you a window into just that. Endlessly fabulous, I caution that you might find yourself scrolling...forever. Raised on Vancouver Island and now residing in Montreal, Andrew Moncrief is a visual artist working predominantly in painting and drawing that explores issues of "queer identity, masculinity and idealism with a focus on portraiture and figuration." His Instagram has a similar bent, showing off plenty of his incredible artwork. Toronto photographer and visual artist Wynne Neilly's work focuses on portraiture, using it to "reflect the development of identity and the complexities of human gender expression." He also wants to "normalize the queer and trans body" through photos. Examples of this are all over Neilly's stunning Instagram account. Montreal/Toronto artist Laurence Philomene's Instagram simply reads that they "take pictures and like to play dress up." But as their nearly 37,000 followers can surely attest: there's a lot more to it than that. The photography Philomene shows off on the account is absolutely stunning journey through the spectrum of colours, often showing off people in acts of tenderness with one another. "These are the fantasias of our lives," reads the bio of Latinx Toronto multidisciplinary artist Raf la Reine's Instagram — and that's no understatement. Filled with hypnotic, provocative photography, Reine's work (which off Instagram also includes playwriting under the name Raf Antonio) puts one in a daydream-y kind of mood. "Artist. Photographer. Writer. Time-Traveler." Toronto's Tanja Tiziana does it all (except maybe the time travelling part), and their Instagram is a testament to that. The account also features a ton of incredible photography by other LGBTQ artists. Who doesn't want to read the name Vivian Vanderpuss on a regular basis? Victoria drag performer, visual artist and photographer Mackenzie Lemire's feed is full of diverse aesthetics and a whole lot of fun (much like the ferocious name Vivian Vanderpuss). "I do everything with my phone," Vancouver artist Paul Wong told CBC Arts earlier this month regarding his process. "This is my studio." One of those things, of course, is keeping a fantastic Instragram account that mixes Wong's life, process and final products.